When Nacho Mama Tee Shirts told me that I could do a review & giveaway of one of their shirts, I was so excited! This mama is still wearing maternity clothes, just cause I don't have the cash to go buy new ones! So a new shirt to me was like Christmas! I chose the above shirt, I love this logo, I used to have this bumper sticker :) I was really impressed with the quality of my shirt, and it is so cute! It is in the dryer right now, so I couldn't show you with a picture, but, it's already been washed & dried, and there is no fading in sight as of yet! I have been wearing it ever since the day it came in the mail, and I am loving it! Do you see these shirts?? How freakin cute! They have something for everyone- funny t shirts, vintage t shirts, 80's t shirts, even custom t shirts! I am lovin this company and I will def be back as soon as I am ready for some new shirts! The little angels over at Nacho Mama are even offering a giveaway to one lucky Flip Out Mama reader! You even get a choice in what you win! They are giving away either a) a MYSTERY tee shirt in your size, or b) a $15 gift card to their site!! Mandatory Entry: Visit the fine folks over at Nacho Mama . 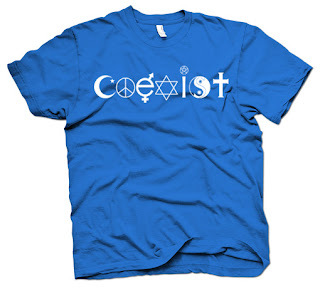 Come back here and leave a comment telling me your favorite shirt . Extra Entry: Post a Comment on the Nacho Mama/Crazy Dog facebook page letting them know Flip Out Mama sent you, and tell them your favorite shirt. Extra Entry: Post a comment on, or mark as a favorite, any of Nacho Mama's FLICKR photos. Do so by clicking here. Extra Entry: Like or Share one of the products on the Nacho Mama website. The buttons for this are on all product detail pages, above the main image. Comment back here and tell me you did. Rules/ Junk: Contest is open to US residents only. (Sorry.) Please don't be a cheater, they never prosper. :) Contest will end on 9-16-2010 @ approx 7pm.Winner will be chosen via random.org. Winner will have 48 hours to contact me back, or an alternate winner will be chosen. I will forward your shipping info to the company and they will be responsible for shipping your prize. I am not responsible for prizes that are lost, damaged, or otherwise not received. Thanks! disclosure: I received a shirt to facilitate my review, no other compensation was received. All opinions are mine. 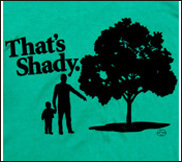 LMAO at these tees! I can't pick just one! I like the ADD squirrel one and the Bacon is that good one (Hubby thinks bacon is a food group). Thanks for another site to go broke on!! Left a few comments Blog Hop Friday and your cutie bug on his first day of school! i love the Game Over shirt, it's so cute. i favorited the Garden Gnome Costume, so cute. i liked the Game Over shirt. OMG I WANT THAT HANGOVER TEE WITHBABY CARLOS.. so cute! Thats my fav! I want the Fangtasia tee. I'm following Nacho Mama on FB. I posted a comment on their FB page. I marked the "Fangtasia" tee as a favorite on Flikr. I shared the "Merlotte's" tee. I commented on your "monday again." post. I like "Livin' the Dream". I also entered the Uglee pen giveaway. I also entered the Overall Beauty giveaway. I like the I'd hit that T.
Posted on Nacho mama Facebook page. I love the Squirrels Can't Be Trusted tee! 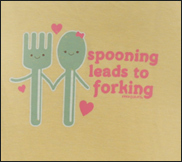 Great tees my fave is forking leads to spooning! i like one tough cookie t-shirt. The DUNDER MIFFLIN T-SHIRT is the best! My favorite is the Leprechaun shirt for women. Any one of them with Chuck Norris! I'd love to win the "LV-426" shirt inspired by the movie Aliens. My favorite is the Girls I Heart Ninjas Shirt. I love the "One tough Cookie" T! I like the girls gizzy is the shizzy shirt. 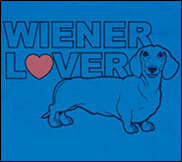 I like crazy dog tees on facebook as degood. i'd choose the Winchester Tavern shirt! Airplane t shirt! I am serious and don't call me shirley t shirt. I like Chuck Norris Destroyed the periodic table.